The European Court of Justice’s decision to dismiss Hungary and Slovakia’s legal challenge against the EU’s migrant resettlement scheme sends the message that Brussels has the power to decide who should live in Hungary, the government office chief said on Thursday. 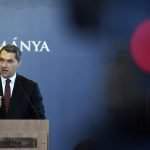 The Hungarian government, however, considers Hungarians’ right to decide on whom they want to live with the most important aspect of the country’s independence, János Lázár told a weekly government press briefing. “If we relinquish this right, we give up a key slice of our independence,” he said. The Hungarian government will exhaust every avenue of legal appeal in order to preserve the country’s independence, Lázár said. 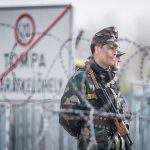 The government office chief also commented on European Commission President Jean-Claude Juncker’s response to Prime Minister Viktor Orbán’s request that the EU pay Hungary half the 270 billion forint (EUR 883m) border protection costs incurred by the country. Lázár voiced the government’s opposition to the European Commission conflating the issue of migration with the payment of cohesion funds. In his reply to Orbán’s letter, Juncker mentioned the structural funds that are available to Hungary amounting to 25 billion euros in the 2014-2020 period, or 3 percent of the country’s GDP, which he noted was the highest proportion for any member state. 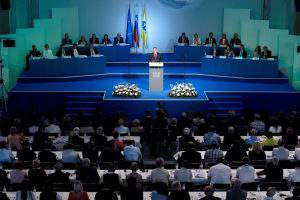 The cabinet is prepared to discuss the issue and is awaiting the EC’s response, Lázár said. He accused the EU of neglecting the protection of its borders while “doing everything to protect the rights of illegal migrants”. He said the commission’s focus should not be limited to monitoring member states’ compliance with their obligations concerning migration, but it should also consider the security of EU citizens. Lázár noted that a European Parliamentary delegation will visit Hungary between Sept. 18 and 20 to look into some development projects financed from community sources. “The review is predominantly about Viktor Orbán,” Lázár said, insisting that the assessment would focus on “projects linked by the opposition media to the prime minister”, such as a narrow-gauge railway built in Orbán’s native Felcsut, a village in western Hungary. Lazar said there might be “worthier subjects to look at”. 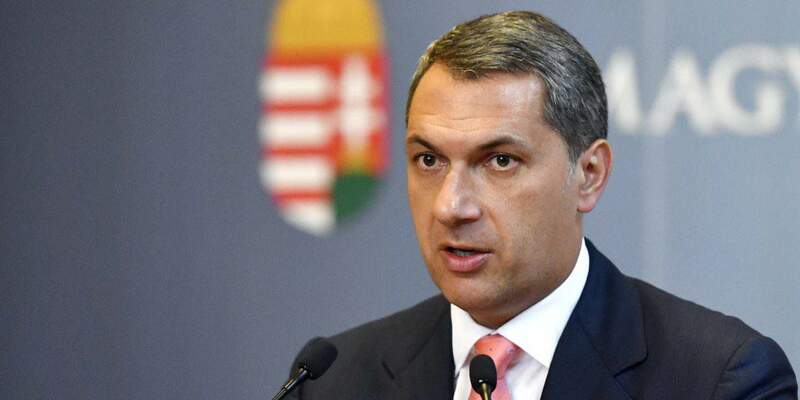 He added that “there is no chance for an impartial review” and quoted a Facebook post by Ingeborg Grassle, the head of the delegation, who said that “Orban gets on her nerves”. 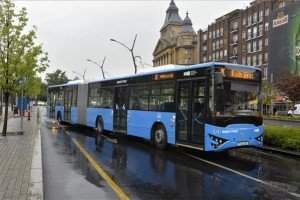 The delegation has singled out the railway project “just because the prime minister lives there”, Lázár said, and called it “political discrimination” and “part of a petty political campaign”. Lazar insisted that the Felcsut railway had performed as planned, carrying over 40,000 passengers in a single year. 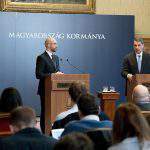 Concerning subsidies from the European Union, Lázár said that a large part of the cohesion funding actually goes back to the member state it originated from. “Those funds have nothing to do with migration,” he added. 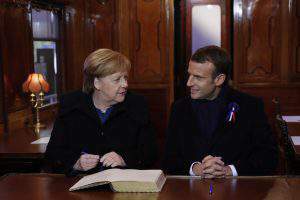 Referring to recent, critical remarks by German Chancellor Angela Merkel in connection with Orbán, Lázár said that “Hungary does not wish to be a party to Germany’s election manoeuvres”, but added that Hungary and its Fidesz party were interested in Merkel’s winning the elections “with a landslide”. On the subject of Ukraine’s restriction of the use of minority languages in its new education law, Lázár said that Ukrainian Hungarians were the target of “an appalling political campaign”. Answering a question about a referendum initiative concerning Hungary’s possible switching over to the euro, Lázár said a plebiscite was unnecessary since the EU’s basic treaty “provides clear guidelines”. 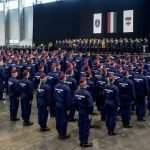 "The European Commission is likely to pressurise Budapest in order to force Hungary to approve the mandatory EU migrant quota"
Hungarians have fought hard to establish self government. In the past, Hungary was ruled by foreign entities, the Ottoman Empire, Austria, or communist Russia. Over the centuries Hungarian blood was spilled in vain, trying to regain sovereignty. The EU court has wiped out sovereignty with a stroke of a pen. 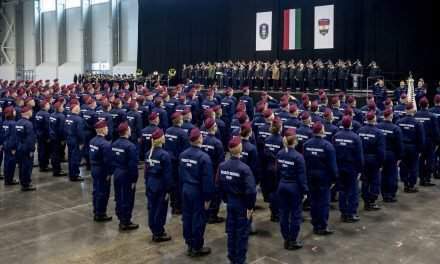 If Hungary accepts and bows down to the EU, the government would insult all its people who fought and gave their life for freedom against, the Ottoman Empire, the Dozsa rebelion, the 1948 rebellion as well as the dead of 1956. The EU Parliament members will always vote in their self interest instead of justice. There was never any hope that the EU court would be unbiased. The Hungarian government should take the EU court to the Hague because the court ruled according to political interest instead of the rule of law.